LexPredict is proud to introduce the newest member of our team, James Falvey. Mr. Falvey will provide consulting services around risk management and process improvement to LexPredict clients. Mr. Falvey has a wealth of experience in areas integral to our mission at LexPredict. 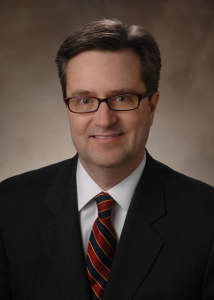 He has over 25 years of experience as a general counsel and an outside counsel. He has also worked with financial exchanges, commodity trading advisors, investment advisors, and insurance providers. In addition to this work, he has extensive experience with many start-ups. Mr. Falvey’s technological credentials promise to be a great fit at LexPredict. He has been active in work on cryptocurrencies and blockchain. He has worked with companies that are implementing blockchain in financial services and insurance services. In addition to this, he is a member of several groups in the Chicago area that work with blockchain and smart contracts. Not only has Mr. Falvey worked with some of the largest companies in financial, legal, insurance, and risk technology, but he has also served in a number of government positions. He served as a law clerk for a U.S. district judge, worked as a Legislative Assistant for U.S. Representative Fred Upton (R-MI), and he has worked as a member of the Technology Advisory Committee of the CFTC. He received his BA from Notre Dame, his JD from Georgetown, and his MBA from Northwestern.